I forgot my login details! How can I find that information? Can't remember which email you used in GoCo? 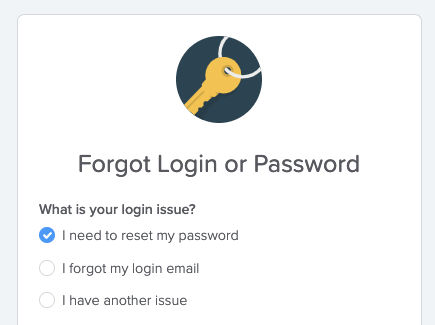 Need to reset your password? GoCo makes this easy! 3. Depending on what you picked, GoCo will ask you for more information. 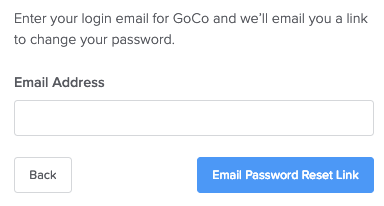 After filling out this form you'll get an email from support@goco.io with instructions on how to reset your password. Because GoCo contains so much sensitive information, please remember that our password requirements are stricter than your average website. When creating a password it will guide you through our requirements! If GoCo can't find your email, some of your personal information could be wrong. Reach out to your HR administrator to verify these details before attempting again. Still having trouble? 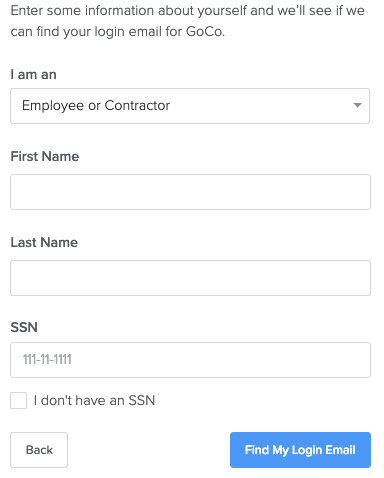 You can contact us straight from the page above with option three "I have another issue"!